Do you have any questions about this 9 panel Off Grid system, or questions about solar in general? Give us a call at 1-800-472-1142. Give your tiny house or get-away cabin all of the comforts of home with an expandable off-grid solar power system that includes 9 LG MonoX Plus LG-300S1C-A5 Mono Black frame Solar Panels. This system is capable of powering an efficient refrigerator and/or stereo, computer, lights, TV, washing machine and more. As with all battery-based systems, conscious energy conservation is necessary to ensure the longevity of the batteries. If you time your activities for daylight, running energy intensive appliances like a washing machine or even power tools wont take too much out of your batteries. 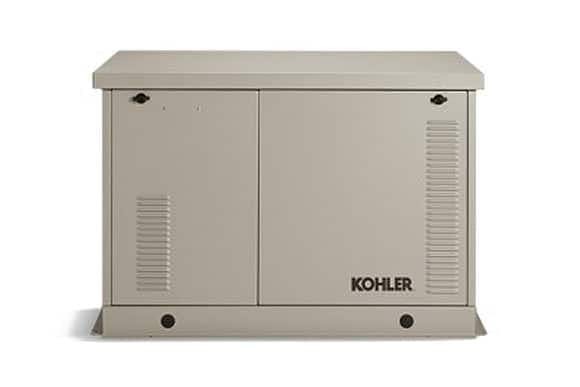 This is a great starter system to use with a backup generator. 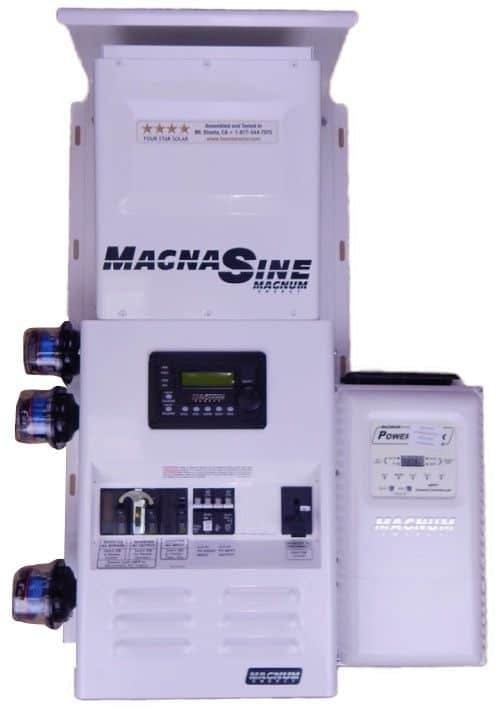 Clean sinewave power from the Magnum Energy inverter is the heart of this small off-grid system. This inverter converts the DC, or Direct Current, electricity produced by your solar panels into a clean form of AC, or Alternating Current, electricity that is compatible with sensitive electronics like TV's and computers. You won't get background fuzz on your stereo or weird lines on the TV screen that you would with modified sinewave inverters. An easy-to-install Four Star Solar Power Center will get your off grid system up and running lickity split! The power center includes a Magnum Energy MS4024PAE inverter and all of the necessary safety components. Because it is pre-assembled, wired and tested you save time and money and eliminate the risk of “smoking” your inverter by installing it wrong. This off-grid solar system will deliver full power to a 120/240 volt load panel and includes a battery charger for use with a backup generator. Use our Off-grid Sizing Worksheet (PDF) to estimate your future power use, and call Wholesale Solar to customize any off-grid project you may have: 1-800-472-1142. We'll be happy to help you get started.